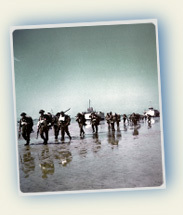 Visiting Normandy is the opportunity to discover the landing beaches. 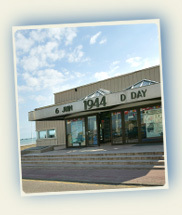 The D Day Museum in Arromanches is the battle of Normandy main highlight. Built on the site of the artificial harbour. Its vestiges can still be seen, a few hundred yards away from the store. On June 6th 1944, some 4,126 Allied ships successfully achieved the greatest landings in History on the beaches of Normandy, taking the Germans totally by surprise. 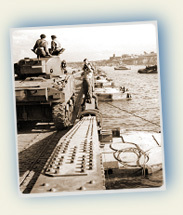 Find out more about the how the Mulberry Harbour was constructed in Arromanches - a truly extraordinary technological feat which provided the key to Victory in Normandy.